Action with focus makes great business ideas which are implemented in a great way to get great results. Scaale brought together such focused Entrepreneurs from across the globe by organizing the event 'Startup India Rocks, Goa', which is one of its kind and bringing together the Investors and the startups was successful in bridging the gap between them to reach each other. Read on to know more of the happenings at the event! The smallest state of the Country witnesses India’s first ever Global Startup Event on the 7th of October, 2015 at the most exotic Leela, Goa. It truly marked a GREAT START, not just for the event, but for connecting the Indian startup space with the Global Investors. Scaale, a VC Group headquartered in four Key markets of SF, London, Barcelona and Mumbai, having worked with more than 500 companies around the world, successfully funded 10 companies in last 18 months through its investment club Cross Border Angels (CBA) decided to connect the startups with the Investors from across the Globe by Launching a 2 day event. Investors and startups from more than 15 countries got a chance to connect and network through the event, for more cross border opportunities and investments. The first day of the event was graced by some of the Giants in the Industry like Mr. Kaushal Chokshi (Chairman Scaale Group) who was the opening Keynote speaker, Candace Johnson (President, EBAN) who was also the keynote speaker, Paulo Andrez (Ex-President, EBAN), Stephen Liu (Angel Investor, China & Founder of Cybernaut Investment Group), Ricardo Luz (Board Member, EBAN), Zhumatay Salimov (Deputy Chairman of the Board,MPA) who were also a few of the elite speakers at the event. The ambience added to the richness, which also created the attention and value for every person participating in the event. The organizers took responsibility of the happenings and ensured that the best feeling is given to every Delegate and Investor, and would take back an unforgettable experience. 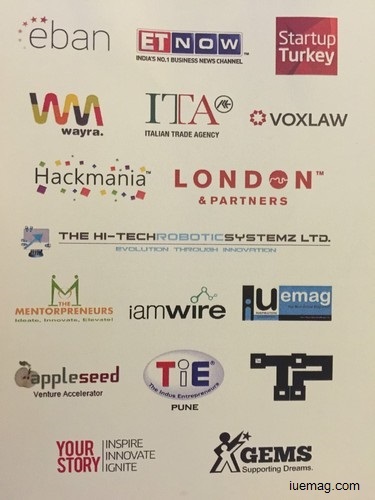 While the 200 delegates from 15 countries (including China, Spain, US, Ukraine and more) got opportunities to pitch across their ideas, Marketing strategies which were presented to the investors and the investors also got a chance to interact directly with the delegates and decide on further investments.